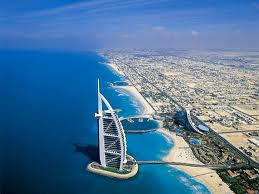 Dubai is the number seven emirate to be incorporated within the United Arab Emirates (UAE) group. It was created at the same time as the UAE came into existence back in 1971. Being an emirate member of the UAE, Dubai does not hold any local authority on matters pertaining to legal, military, politics, and economy. These are under the strict governance of UAE, as the federal government. Within its border, Dubai does hold exclusive power on issues related to civic law enforcement as well as the provision and maintenance of local amenities. Nevertheless the status of Dubai being the powerhouse in the regional financial landscape, veto power was bestowed on Dubai on matters concerning national interests. This is primarily due to the Al Maktoum dynasty, which the local government has close ties with. Mohammed bin Rashid Al Maktoum is the influential leader in UAE, he has previously held the office of Prime Minister and Vice President of UAE at recent times. The fact of the matter is that Dubai has benefited greatly during the time of Al Maktoum. He has been responsible for a number of policies that facilitated the success of Dubai as an international attraction for investors. He helped to push the idea of creating a number of free trade zones such as the International Financial Centre, Maritime City, the Airport Free Zone, the Internet and Media Cities, and the Jebel Ali Free Zone. Investors were impressed with the bold policies and robust development and they pumped in the cash into the emirate as a result, perhaps remarkably attracted by a tax-free and tax-break regime as well. It is estimated there were about 2,262,000 residents in Dubai (based on 2008), with the bulk of the population centers on cities area. UAE nationals contribute to just 17% of the total population; with the rest (71%) coming from India, Pakistan, Bangladesh, Philippines, and some other Asian countries as workers, the balance 3% is made up of westerners. Dubai is a place which boasts of fairly high life expectancy; the average for females is as high as 78 years while their male counterparts are said to live close to 73 years. Official record showed that crude birth rate stays at 12.8% and infant mortality rate is hovering just under 0.92 percent. One of the major illnesses is chicken pox with over 3,000 cases registered inn 2006. Other infectious diseases are Viral Hepatitis B (392 cases) and Pulmonary Tuberculosis (312 cases) recorded in the same year. Being part of the middle east, where extreme hot weather is expected, heat stroke is a common occurrence here. The quality of Dubai healthcare is top notch, even measured by the international standards. Some of the critical success factors are: Brand new hospitals stuffed with latest and high tech facilities, strategic locations which encourage easy access to medical facilities, ample of clinics and hospitals for the size of its population, all these factors combined to make it possible for Dubai to deliver excellent healthcare services. Pay attention though that this emirate state has no legislation regarding state or employer contribution towards any form of health protection scheme for workers under employed. The Department of Health and Medical Services (DOHMS) manages a public healthcare program in Dubai. This is largely credited for making available a real inexpensive medical costing structure for the local UAE residents, to the extent of being free. It is also easy to find foreign medical practitioners, who concentrate within the private healthcare sector. Most of them are foreign owned, with many come from countries like Pakistan, India, USA, Egypt and Europe. It is important to note that Dubai has strict regulations pertaining to the quality and practice of these medical professionals. It is common practice for medical practitioners in Dubai to perform post-clinic private medical calls for their patients, one that is perhaps not so common in the rest of thee world. Competent and quality treatment is assured for all, nationality and residency is not prejudiced against. A plain diagnostic consultation at a clinic would set you back by about £40 when there is no further medical test involved. When doctors carry out post-clinic private consultations and a night-time call, be ready to put aside some £70. The practice here is remarkably transparent and customers can expect receipts at the end of treatment, which is helpful if you plan to make a claim from your insurance company. You can find the biggest medical project ever commissioned in the UAE here in Dubai. It is called the Dubai Healthcare City and it boasts of a Medical Center, teaching hospital, the Harvard Medical School Dubai Center and the Boston University Institute of Dental Research and Education Dubai. Since Dubai does not compel employers to contribute to their employees' healthcare, foreign workers are strongly encouraged to invest in their medical insurance cover. Alternatively they can apply a health card from DOHMS. This health card allows the holder to access medical help from public hospitals, however only during emergency situations. The medical facilities used to be crowded with foreign visitors and workers. It was estimated up to 75% of public hospitals' facilities are occupied by expatriates. In 2001, the emirates decided to end this free reign of medical benefits by the foreigners, but even with this measure, the medical charge (with local subsidy) was still relatively inexpensive for this group. Finally in 2004, new regulation states that public hospitals only accept foreigners who are deemed for admission. While hospital room stays still come with significant discount, but all other expenses are exempted form any subsidy and to be borne fully by the foreigners. The law would only make an exception when it is a life and death matter for the foreigner. If that happens, the emergency service is applicable and free of charge. No doubt, the high standards maintained by public hospitals mean that one can find both excellence and variations there, for their treatments, which include surgical procedures. But since the passing of the new law, foreigners' access to public hospitals has been hugely curtailed. That leaves patient to make use the insurance benefits and head to a private health facility, otherwise everything is to be paid in cash. If you have been to an area that is infested with cholera or yellow fever in the two weeks before your arrival into Dubai, be expected to produce a medical exam or medical certificate. Our advice is that you want to stay as healthy as possible before making your trip to Dubai because of the exorbitantly high cost of Dubai healthcare; this is especially true if you are expatriate or foreign worker from non-UAE country. As mentioned earlier, there are some common infections in Dubai and it is pretty much a work in progress for the local authority to contain them effectively. But statistic does not indicate expatriates or foreign workers are severely affected by these infections. For them, they are faced with other health risks. It is commonly known that foreigners have been affected by alcoholism, respiratory-associated issues, heat stroke and sunburn, and potential dehydration. People working in Dubai have taken to alcohol for a number of factors, such as homesickness or stressful work condition. The sand and the dusty environment at the booming construction sites are believed to give rise to the respiratory-related problems. Surely the perpetually hot weather in Middle East is the main culprit behind the heat strokes and sunburn issues. When you happen to run into a health emergency, always ring the ambulance up for help, or get a taxi to ferry you to the nearest hospital if you can still help it. Always keep handy of information like hospital's address and its phone number in case of emergency as you want to be rushed to the nearest hospital with the least travel time. It is also helpful to let the medical staff know in advance of your impeding visit so sufficient preparation can be done on their end. If you wish to have receive more information about International Health Insurance in United Arab Emirates ask us for a Free Quote, please do not hesitate to contact one of our team member.